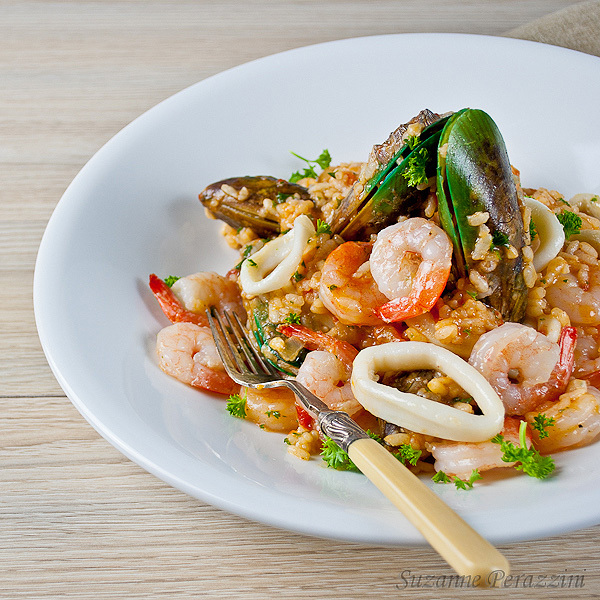 Risotto with seafood is an Italian dish consisting of a wonderful combination of fluffy rice, seafood and mushrooms. Here’s the way my dish of today’s river – marine menu. You can replace any of the seafood with others or to add one more to those here because no precise rules. 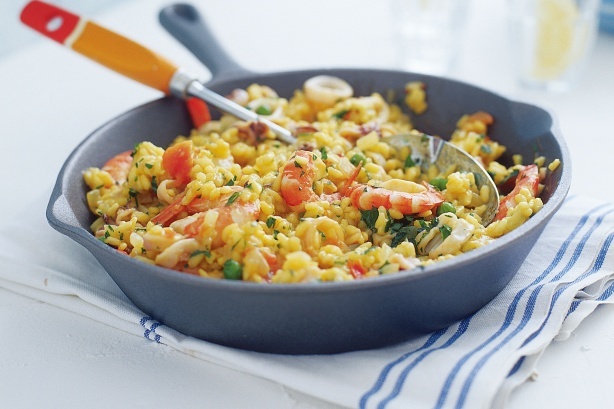 But one thing is certain, at any cost must keep our tradition risotto with seafood to be eaten with very cold white wine! Fry kromida1 Preheat oil in a large frying pan and fry the onion for 6-8 minutes until tender without browning. Add mushrooms and saute them until the liquid will run, evaporate. Put the rice and mix well. Pour the broth and white wine. Add raw shrimp, black and white mussels and squid, stir and stew fire about 15 minutes. Finally put truffles, if you have them included in the recipe, mix with green herbs, sandwiching and leave the mixture on fire to boil 5-10 minutes. Season with pepper to taste and serve the dish immediately. Before you start the recipe tap strong each clam with a knife. Remove mussels that do not open. Once you have completed the preparation of the dish also check the mussels and remove those that are not opened.